Privets are the most commonly grown hedge plant in the United States--with good reason. They grow with almost no care, including fertilizer, and respond well to severe pruning--making them a good choice for formal, sheared hedges. Amur privet (Ligustrum amurense) grows in the north and reaches 12 feet high. Regal privet (L. obtusifolium var. regelianum) is most frequently grown and the most trouble-free variety, according to Cornell University. Japanese privet (L. japonicum) is not reliably frost-hardy and grows best in warm climates. Thoroughly loosen the soil, advises Cornell University, and dig in compost or peat moss and superphosphate. Improving the soil after planting long-lived hedges, such as privet, is difficult. Providing good soil from the beginning pays off later in healthy, fast-growing plants. Privets most commonly lack nitrogen necessary to green up their lush leaves. A granular all-purpose 15-5-10 or 15-5-15 fertilizer should supply all the nutrients they need, especially if the soil was amended before planting. Apply 0.7 lb. of fertilizer per 100 square feet of hedge in the spring and summer, advises the University of Florida IFAS Extension. Make another application midsummer if growth seems slow. In temperate climates, fertilize privet every few years, advises Cornell University Extension, preferably in the spring before new growth emerges. Yellowed leaves with green veins is often a sign of chlorosis, or iron deficiency. Chlorosis occurs when privets are grown in alkaline soil where the iron is bound up and unavailable to them. Lynne Ellen Doxan of the Albuquerque Journal recommends spraying the leaves with a foliar iron spray, which is more efficiently absorbed by the plant than products applied to the soil. Privets tolerate some shade, but perform best in full sun. They need well-drained soils, and can tolerate some dryness. Privets are generally grown as hedges. Take care when pruning them to ensure that the top portion of the privet is narrower than the bottom. Top-heavy hedges tend to have leggy growth and sparse bottoms. Privets are fast-growing and require little care. These tendencies that make them so popular with gardeners also cause problems. 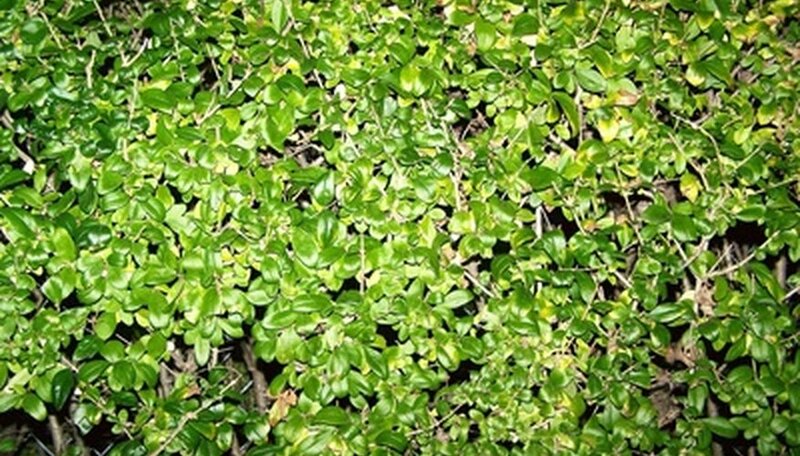 In fact, Chinese privet is considered an invasive plant by many communities, according to the Invasive website. It grows in fields and woodlands where it shades and crowds out native plants.